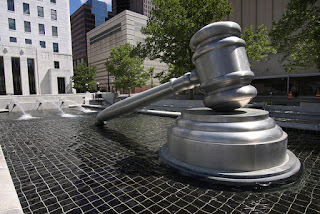 There are a few steps you have to take whenever you are planning on suing someone. In this guide, we’re going to take you through everything you need to do to make sure that your case is viable, and that you get the best possible outcome. Read on to find out more. Legal cases are about arguments, and those with the most compelling argument tend to win. So, it’s vital that you have a valid claim against someone, and have excellent evidence that you are in the right. Some cases are simple - breach of contract, for example, might only need a presentation of that contract. However, in the vast majority of cases, it’s going to be tougher than just providing a simple document. You’ll need a lot of evidence, as well as an attorney to help you through the legal minefield that awaits. This is another important step, as you have to take your case to a court in the state where the incident happened. 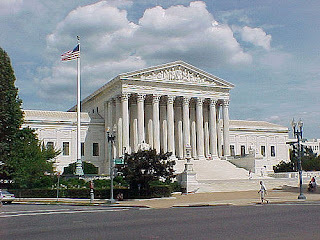 A court in your state, for example, would have no jurisdiction for an incident that occurred elsewhere. This can cause a problem, of course. If the event happened far away, it might involve significant travel. So, you have to be sure you have a compelling case before you set the wheels in motion. Your lawyer will assist you in gathering evidence, of which there are two kinds. First of all, you should gather proof that backs up your story - and you should be aware that the other party will be doing the same. Collect any paperwork, doctor’s reports, insurance info and anything else you can find. The second type of evidence is all about the other party. Bringing a case to court can be expensive, and you have to know you have a chance of getting the right result. So, think about hiring private investigators - a firm specializing in asset search PI is preferable. They will gather the proof you need to ensure your case is worth your while. If the other party is bankrupt, for example, it might not be worth your expense. The statute of limitations is effectively a timeframe that you have to take your case to court. It varies from state to state, so it’s vital that you understand the length of time you have to take your case to court. Different types of lawsuit have different limitations, too. So, one state might give you two years to file a claim for personal injury, while giving you six years to file a claim for vandalism or damaged property. If the statute of limitations has run out, you won’t have a case - it’s as simple as that. There is a lot that you will need to prepare for before your day - or week - in court. There will be pleadings, where both parties bring their claims and counterclaims to the courtroom. Next, there will be the questioning process. You can expect to have your evidence tested thoroughly here, and it can be a difficult experience. Your lawyer should give you all the preparation you need. Finally, the trial process will decide on whose evidence is most compelling. At this point, with a little luck, you will get the judgement you need. Good luck with the claim!